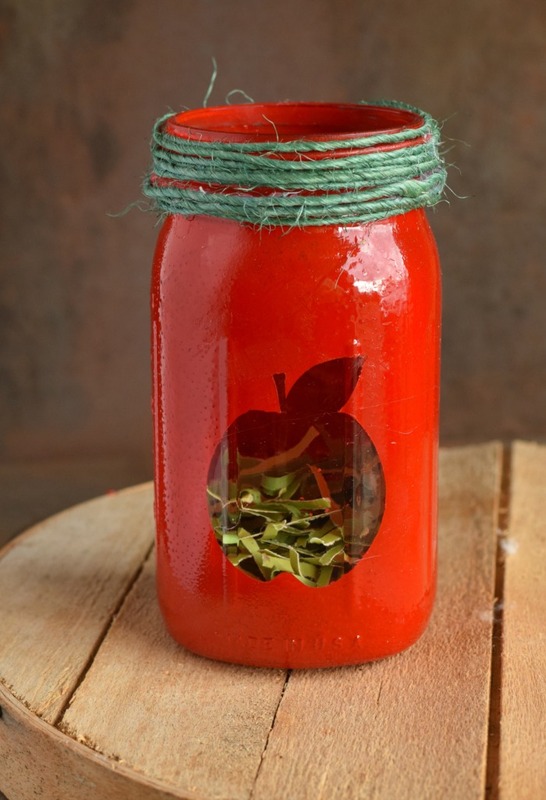 Do you like Mason Jar crafts? 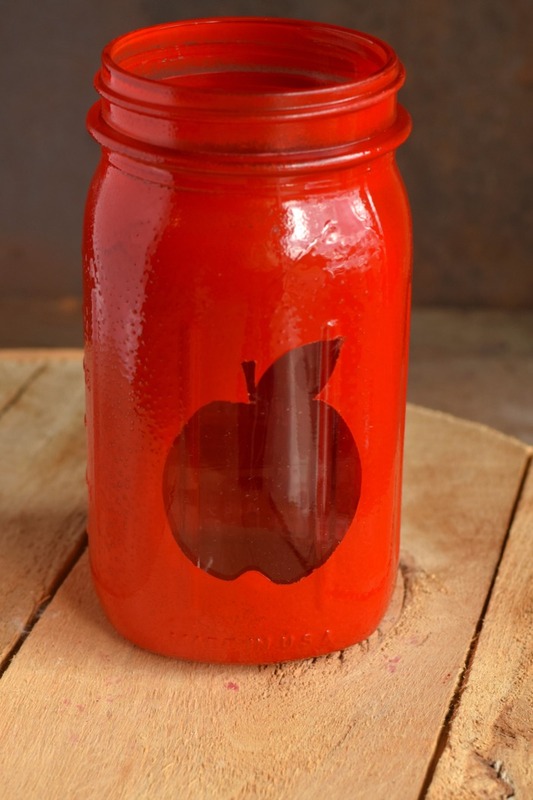 This Painted Apple Themed Mason Jar is a great project for Teacher Appreciation! 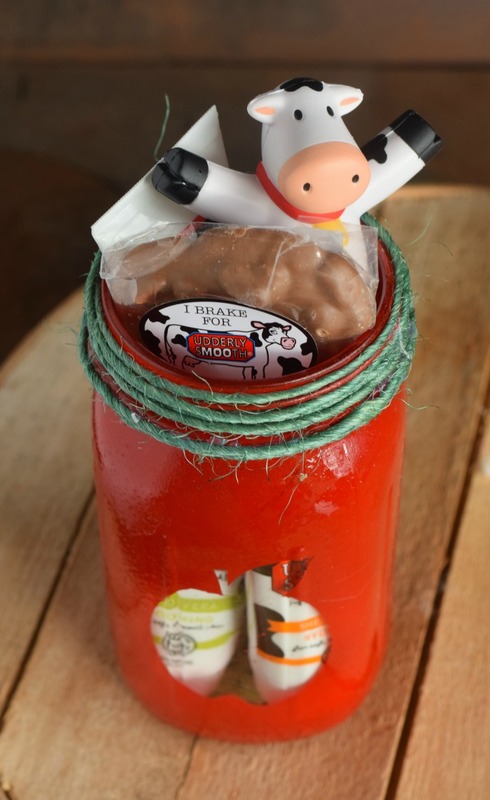 A special thanks to Udderly Smooth for providing product and sponsoring today’s post. In my former life, I worked in the healthcare field. There are many differences between my “then” and “now” life, but one similarity is how much I wash my hands. I dread winter time because I now that my hands will be cracked and dry by January. Anyone who spends much time around kids can relate. Being a parent is awesome. Being a teacher, coach, or educator is awesome. But it comes with lots of hand washing. So when it comes to teacher appreciation, I always want to give a gift that is useful. 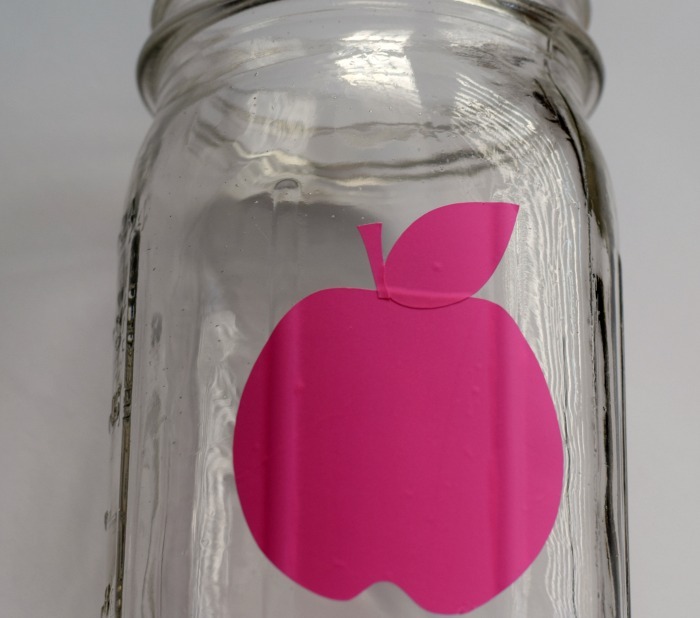 Hopefully, teachers and educators will find this Painted Apple Themed Mason jar both cute AND practical. If you are creating a gift for a coach, etc., feel free to change up the look of this jar to match the gift recipient. Wouldn’t a soccer or other sport themed jar be cute, too? Red spray paint OR Chalk paint- I love painting mason jars with chalky finish paint! The finish is always lovely, and the paint goes on like a dream. However, in today’s project, I did not have any red chalky finish paint, so I went with spray paint. It gets the job done, but chalky finish paint would have been even better! Vinyl shape in an apple- Die cutting machines come in handy for this. Small amount of basket filler- I never have this handy. I use colored card stock that I run through my paper shredder. It’s convenient with the same result. 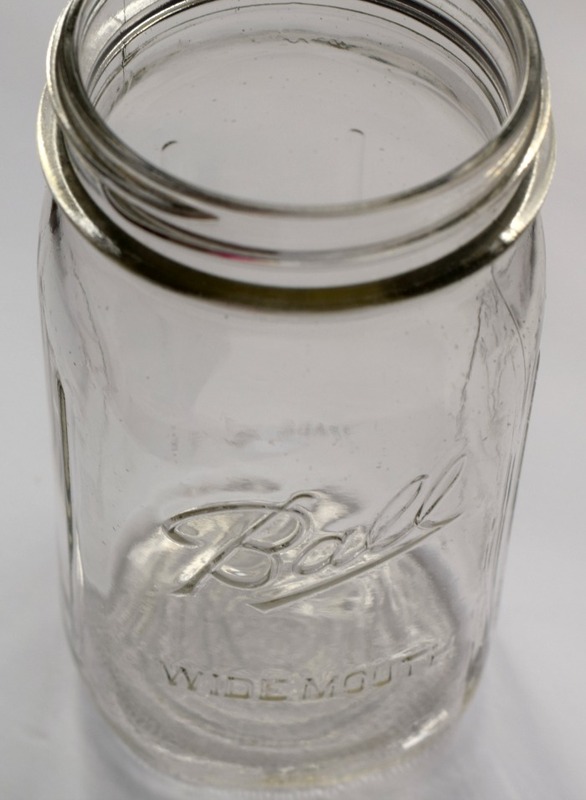 One word of caution- make sure that you’re using a wide mouth mason jar. It is hard to fit lotion and hand creams into a regular sized mason jar with ease. 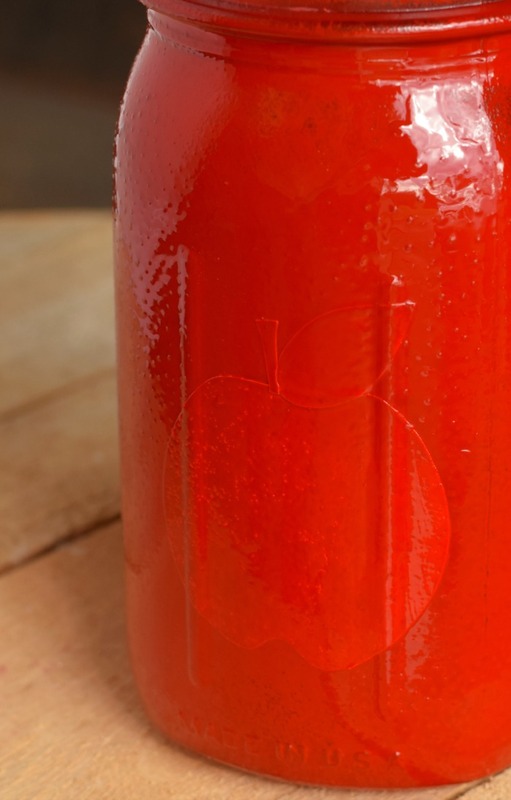 Place the vinyl apple on the smoothest side of the mason jar. Cover the outside of the jar with your choice of paint. Let it dry completely. Carefully peel off the vinyl apple. 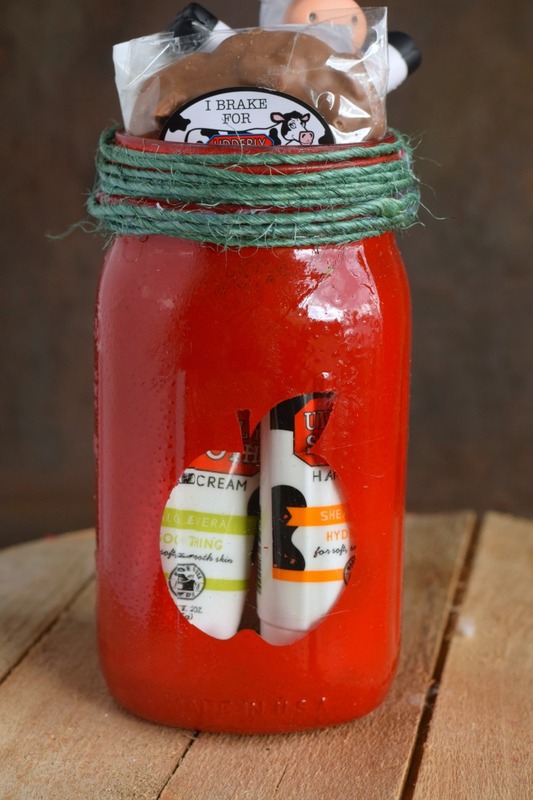 Wrap the green wired sisal rope around the top of the mason jar, securing with hot glue as needed. Fill the bottom of the jar with basket filler. Add the goodies to the jar. In this jar, I’m using an assortment of Udderly Smooth hand creams and products. 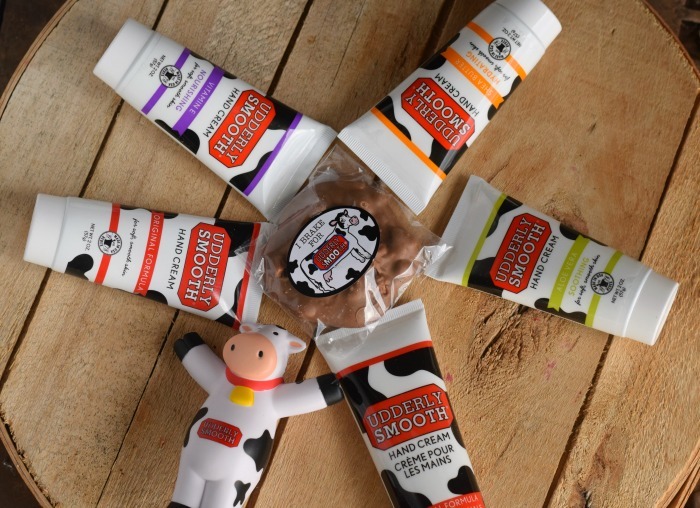 The Udderly Smooth line is nourishing for anyone who works with kids and washes their hands frequently. Find it at CVS. Looking for a simple apple gift wrapping craft that only takes five minutes? 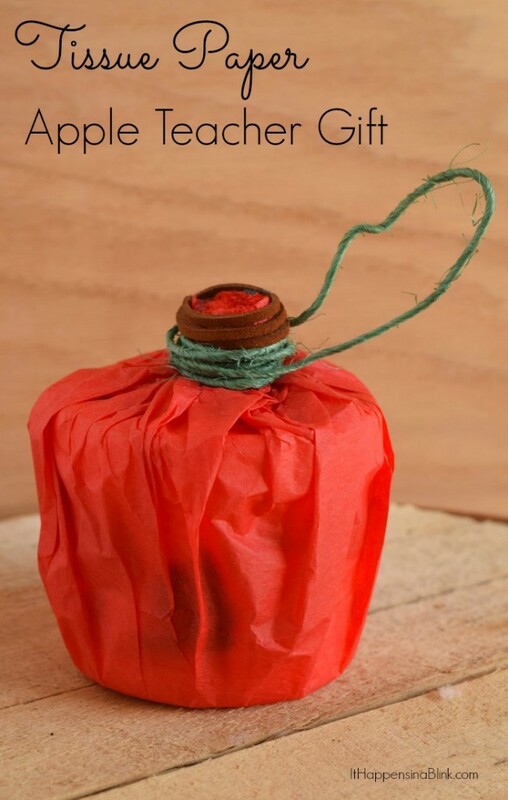 This Tissue Paper Apple Themed Gift Wrap is quick and easy! This is so crazy creative cute. I LOVE things in jar and this is perfect!!! How cute. I’ve always wanted to use vinyl this way. What a nice gift! Oh this is perfect for teacher appreciation week coming up. Very cute. I love doing crafts with Mason Jars, and this was so creative. Thank you for sharing! What a cute idea! I am totally obsessed with anything mason jar related! This is so cute! I always have a ton of Mason jars around my house. What a cute craft, and wonderful gift idea. My kids have 2 teachers each, so I usually go the easy route and give gift cards, but you are tempting me to try something more fun! This is so darling! I love these cute little jars! Mason jars are awesome for so many things. This is a really cute and simple craft – I’ll keep it in mind when I need a special gift! This is awesome! I would definitely want this in my classroom!! This is such an adorable gift idea!